MIAMI - It's art for a cause -- and a car. On Tuesday, the Wynwood community came together to celebrate the 35th annual National Night Out, an event designed to strengthen ties between police and the communities they serve. 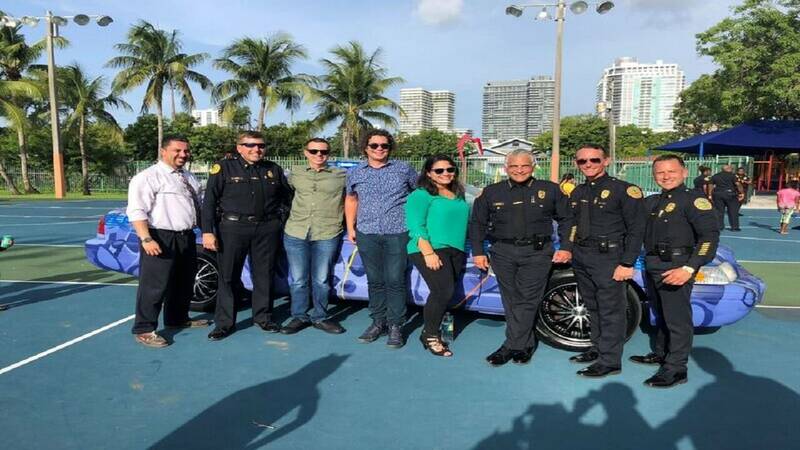 During the event, held at Roberto Clemente Park, the City of Miami Police Department unveiled a colorful new addition to its fleet -- the first-ever Miami Police Department Art Car. 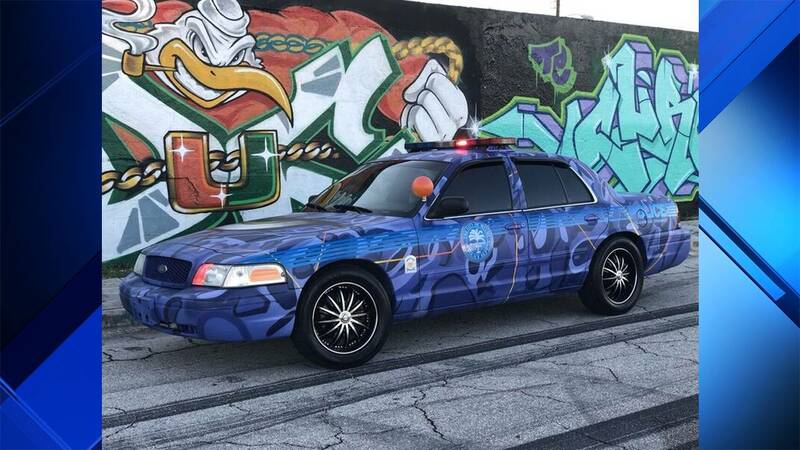 The project, painted by local street artist Abstrk, was spearheaded by Wynwood Commander Dan Kerr, with the goal of utilizing the car to build bridges between Wynwood street artists, residents, businesses and visitors. It is a collaborative effort between Goldman Global Arts, the Wynwood Business Improvement District and the Miami Police Athletic League. As part of the unveiling, local families enjoyed interactive activities, such as exploring a fire truck, testing out police equipment and meeting police dogs and horses. Food, drinks, music and entertainment were provided at no cost.